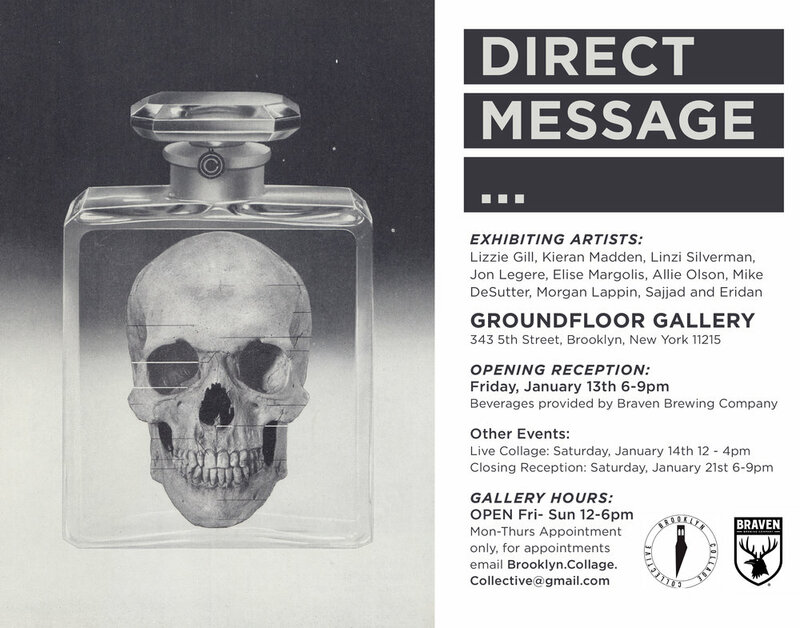 Upcoming Exhibition in Park Slope! Something in the Attic is pleased to invite you to Brooklyn vs. London, a collage exhibition in which seven Brooklyn artists meet their London counterparts. Exploring themes of perception and identity, the show will unite an existing community: the Brooklyn Collage Collective with a group of carefully selected London artists who range from a daytime postman to RCA graduates. BCC artists Lizzie Gill, Kieran Madden and Richard Vergez were featured in Spring Break Art Fair this year in Kara Brook's show "Ego-State"